We are a small, active and family-orientated club. We have a range of water sports on offer and have members who sail, windsurf, paddle board, kite-surf, kayak and fish. Every Sunday in the Sailing Season we have races on (weather permitting). There is the opportunity to get out on the water on Wednesday and Friday evenings too. We have cadets that are eager to go out on the water and in addition to this have set up Women on Water and also Skills sessions on Saturdays. These two groups will be for adults to gain confidence and experience on the water under a less competitive atmosphere. There is always a safety boat out for all sailing activities and we are lucky to have qualified RYA Instructors in our members. We have started a Just Giving page to help raise funds for the updating of our changing rooms. The link is below, please feel free to dig deep and donate and share the page as much as possible. Many thanks for any donations we receive and your kind generosity. Join us on Sunday 19th May from 1-4 PM for our Push The Boat Out Open Day. Find out about our range of fantastic social events, our brilliant bar's opening times and information on how to book our perfect venue for parties, weddings and more! 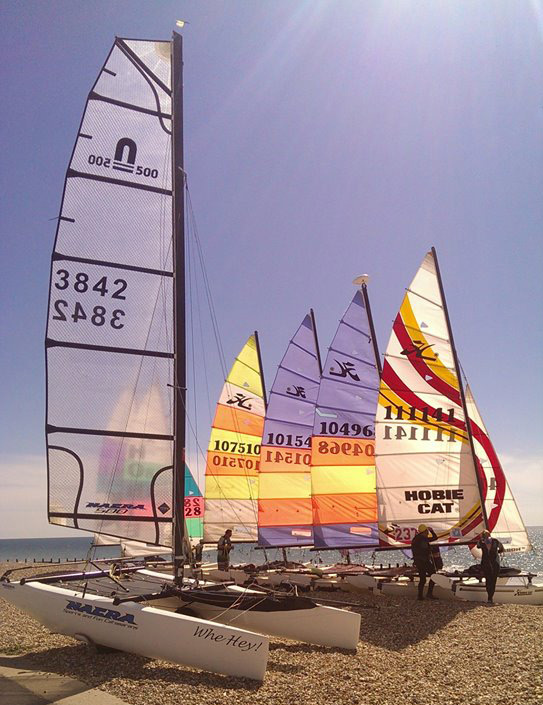 Looking to join Bognor Regis Sailing Club? Click here to download the latest berthing and membership forms. If your keen to make a splash, we have a range of courses and events available for all skill levels. Dive in today!